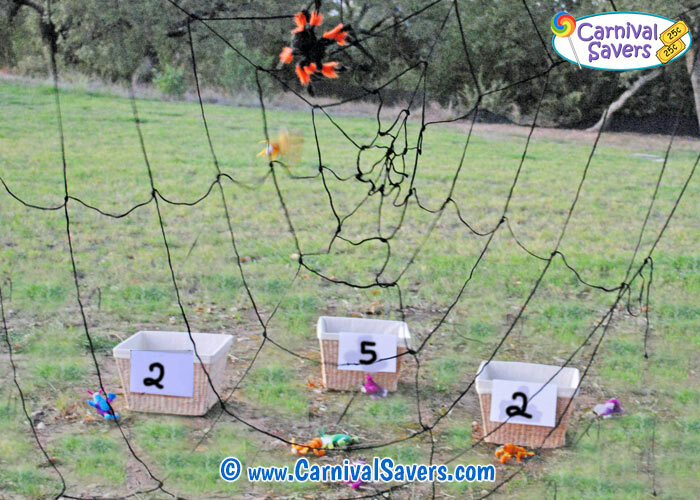 Halloween or Fall Carnival Booth Idea - Spiders Web! 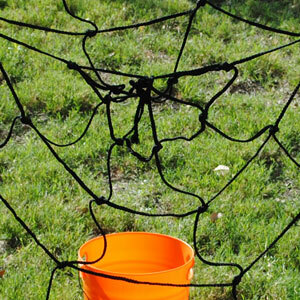 Spiders are Tossed through the Web into Buckets. Hang the Giant Spider's Web From Tree Branches. Before the carnival, be sure to set the net up so that it is suspended in the air and has several feet behind it to allow room for containers for bugs to land in. 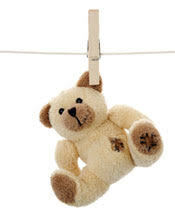 Place at least one container, or even a laundry basket behind the web. NOTE: It is EASY to get the bugs, or spiders through the web, but HARD to toss the critters through the web AND into a bucket or basket on the other side! Be sure you set out at least one type of bin about 3 - 4 feet behind your web. Players are given three toy insects to try to toss from one side of the Spiders Web into the containers on the other side of the Spiders Web. 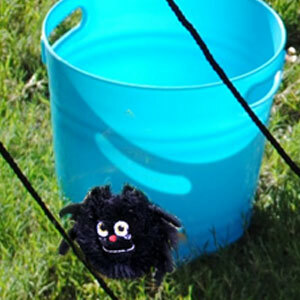 The object of this carnival game is to get the insects into the buckets or baskets on the other side of the web! If no bugs/spiders make it into the containers on the other side, the player receives a consolation prize. If one or two bugs/spiders make it into the containers on the other side – the player receives the middle prize. If all three bugs/spiders make it into the containers on the other side - the player receives the top prize. Note: Placing at least one of your containers behind the net near the center is the most challenging for kids. Like all of our games, we recommend that you try it out after you set up this game to get the best placement of the web, containers and where the kids stand so this carnival game is not too hard or too easy! Please order early - every year we run out of supplies by the middle of October! FUN SPIDERS WEB and BUG PRIZE IDEAS & GAME SUPPLIES!